"For the last 30 years, I have been studying the nature of life, love, and how we create our lives. In the process, I have made some fascinating discoveries that have profoundly changed my life and the lives of thousands of others. These discoveries are explained in the Mastery of Life Audio Course. This course is one of the most important things I have ever done. I would like to share it with you." Life doesn't just happen. We create our lives. Once you discover why your life is the way it is, you can stop repeating the past and create the life you really want. Problem areas can get resolved, relationships can heal and you can create an incredible life. 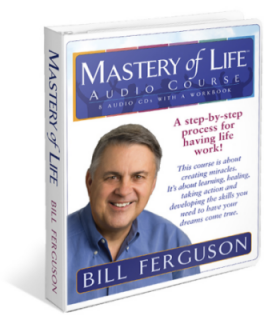 The Mastery of Life Audio Course covers every aspect of having life work. It shows, step-by-step, how to have love in every relationship and in every aspect of life. You will learn how to let go, heal hurt, restore inner peace, get your power back, create a great life ...and much more. In relationships, you will learn how to end conflict, remove distance, heal hurt, forgive, resolve disputes, communicate, keep love alive, and more. The opportunity of life is to live in the experience of love. When you are in this state, you are happy, alive, and free. You feel good about yourself and good about life. You have a positive attitude. Problem areas clear up and great things happen around you. This is the natural state. This is the essence of who you are. As you bring this forward into your life, you create a life of miracles, a life that will exceed your dreams. This is the purpose of The Mastery of Life Audio Course. You have everything it takes to create a great life. Order today and start the process! The cost is $65, or $35 if you download it. Downloaded audio files are in a MP3 format. The workbook is in a PDF. Do you have an area of your life that isn't working? The areas of life that don't work may seem to be the problem, but they are not. They are symptoms of something deeper. If you have a relationship or any other area of life that isn't working, there will always be an underlying condition of resisting or hanging on that is creating the problem. This underlying condition creates a state of fear, upset, and tunnel vision. It destroys your ability to see clearly and keeps you from finding solutions. It takes away your power. It destroys love and forces you to act in a way that almost always makes your situation worse. Until this underlying condition is found and removed, the problem will continue and you will be forced to repeat the past. The moment you remove this condition, the tunnel vision loses power. Instantly, you restore your ability to see clearly and can see what needs to be done. Solution begin to appear and the problem area starts clearing up. The Mastery of Life Audio Course shows, step-by-step, how to find and remove these destructive underlying conditions. "I am happier on a daily basis. I look at concerns in a different way and my overall life looks much brighter." - Lori R.
"This course changed my life. It is the most valuable thing I have ever done for myself." - Roger B. "I saw how I had been sabotaging my life and didn't even know it. Now I have a life that works." 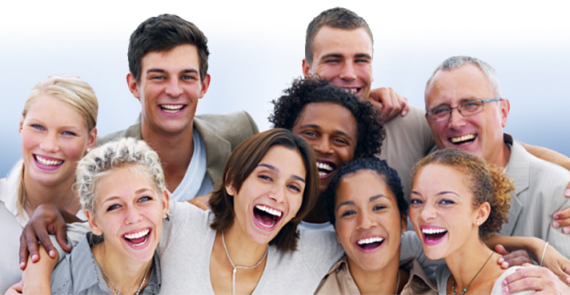 - Janice R.
"This course saved my marriage. Once I learned my role in the problem, I was able to do something about it." - Joanne T.
"I can flow with life like never before. Things that used to upset me just don't bother me anymore." - John C.
"For the first time in years, I have made peace with myself. What a wonderful feeling." - Bob B. "This is the best stuff I have ever heard...very simple and clear, but very true." - Dan C.